Back in September, in the US, I met, and holidayed with, 2 women in a row! Yes, firstly, my long term friend, Kate, whose birthday it is tomorrow. Then I went off to go to a wedding, though not to be married, and teamed up with Stacie for a few days. And yes, its her birthday today! Hopefully next year, though not near their birthdays, I will see at least one, maybe both, yet again. If not next year for Stacie, will be the year after. Kate and I are considering Oklahoma, but given it would be a ‘one trick pony’ to see the county that Clara was born in (Kate is originally from that state), and there might not be much else to do, so we will have to wait and see. But yes, its fun to have 2 special friends, with their birthdays quite literally next to each other, I must admit. So, I offer a birthday toast to both of you tonight, as I will be otherwise engaged tomorrow. Secondly, given the original line up have just got back together after many years, and plan to record a new album, and hopefully a new tour, the latest recording of same song. Slightly less hair now, lol! One thing about working in an office, where there are 5 teams in a department, is the knowledge that you might not always be in the same team, forever. its certainly happened in both my previous jobs up here, and now, seemingly its going to happen again. Same role, same hours, just a different team leader. In a way, it makes perfect sense, I’m now going to be in the team of the team leader who works every Saturday, like me, so there wont be weeks when I’m sat all on my own any more, though to be fair, said team leader was sat right behind me, and besides, it never really bothered me anyway. I know, I dont let much bother me, but anyway…Its equally fair to say that my current team leader is sorry to lose me, though I suspect thats as much down to my ‘entertaining’ calls, as anything else. Who, me? Flirt with customers? No, not really, though fine, I do maybe use my feminine wiles to get round them at times lol! I just wonder how many more transfers of affection I might have before probable retirement, in just about 7 years time, lol? Who knows, I might even be one of the team leaders by then? Not that I’m very ambitious, but all the same…? Still, if someone wants to ‘make me’ more ambitious, I might not say no! And yes, that title is immensely tongue in cheek, believe me! Nowadays, nearly everyone (with the exception of me) owns a mobile phone, that enables them to not only make phone calls, and send text messages (I remember those days), but acts as a camera, and a pretty good connection to the internet as well. Me, I’m delighted that my US phone doesnt have a camera facility, and all these clever tricks, I’d never use them. But yes, fine, a trip to Hollywood really does require some photographic evidence, so needs must…But not a phone, I’ve bought a proper digital camera! Only a little Vivitar one, but enough for me to snap pictures of my trip, and in all honesty, I think thats all I need it for. OK, fine, I might get back into more serious camera work, but dont hold your breath. So, for a first, other than pics that Kate has taken, and passed on to me, you might get ‘live’ pics on the blog next month! Including, quite possibly, some of me. I have been told I have to get photos taken of me at that party, so…you will, you will! But yes, generally I only plan to use it for more normal photos of myself (taken by others), and plenty of famous landmarks around Los Angeles. But the odd selfie (and they will be odd until I get the hang of the best way to take them) might just appear, if you’re good. I think that title will just about cover every thing, maybe? OK, so cutting out the boring bits, like work, and things, the first big event was the interview. I must admit, yesterday morning, around 7.00, after very limited sleep, my brain, and logic don’t go well together. Because if they had, I would have caught on that a black dress, covered by a coat, and a top and black skirt, covered by a coat, look remarkably alike. But anyway…I know for next time! More on that later. Oh, the dress, at work, not a blink. Well, no one commented at least, and I would have thought one or two would have done, if they’d wanted to! No, I stuck with the wedge heels, not the high heels during the morning, and I’m sure my feet were delighted with that call. The interview was meant to be at 1.15, so I’d planned to swap over about 1.00, so my feet were used to them, when I needed to walk in them. So I got told I could go in about 12.45 lol, so hastily put them on. As much as I can tell, the interview went well, answered questions confidently, looked at the person asking the question, and all that. We will see, should hear sometime next week, but hey, first interview in a dress, and it felt great! Yes, you guessed it, I didnt change again after the interview…until I got home! And the journey home was a bit longer than usual, though for once, the train company werent to blame! No, I stopped off to see the results from the photo shoot, and for now at least, you’ll have to believe me when I say they were amazing. You will get to see some, in good time, when I get the email versions of a few of them. Believe me, I want you to see them, they are that good! Then lastly, today, I went off for what I’m jokingly calling my MOT. And yes, I passed. Fine, the right shoulder, the back, and the knees arent perfect, but they arent deteriorating either, seemingly. So the old girl will be fine for a while more. The video, relates to the photo shoot, shall we say? Oh, and for those amused by such things, the baseball. Kansas City Royals still havent lost in the play offs, though this will probably be the ‘knife in the back’ for that, this evening. 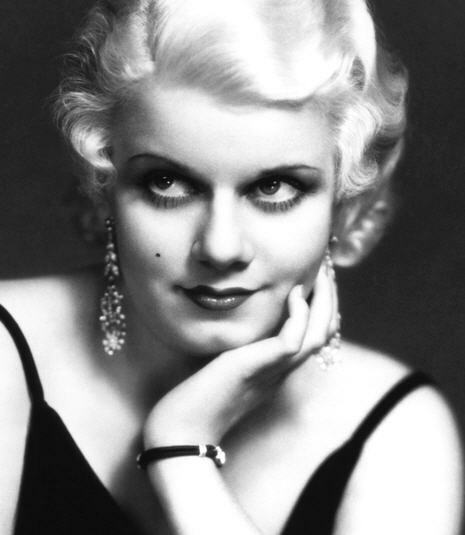 And lets just say that when Jean Harlow, a native of Kansas City was asked for her feelings on the matter, this summed it up. It might be hard to believe, but at one time, I was very much a ‘tried and tested’ girl (or guy, as I was), and tended to stick to pretty much the same, safe formula, and leave things at that. However, since the confidence boost given to me by hypnotherapy, I’ve got very much more daring, if in a safe way. Alright, despite that sentiment, I’m going with a variation of them for one night, just so ‘Jean’ can see I did it lol! Now, aren’t those eyebrows much nicer? In fact, as a whole, I love that look. Very 30’s, but at the same time, there is nothing that could offend modern eyes there. So much so, that…an ex workmate was advertising her new business on Facebook last night, and I was happy to support her. Yes, its this (semi) permanent make up, which would be an absolute boon for me, given I cant do my own, due to that slight tremor in my hands. In all truth, the only reason I probably havent had her do it already is the distance between us, about 200 miles. But fine, last night, I got one of those offers you dont refuse, and I doubt I will! 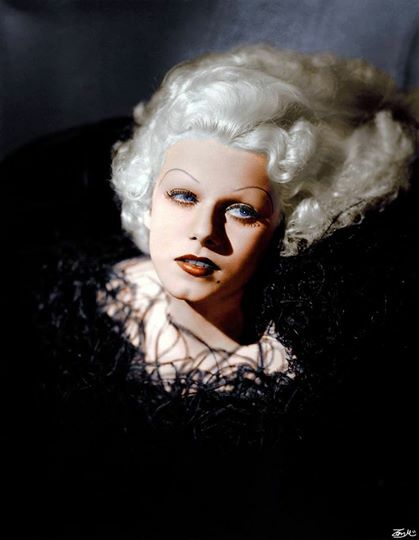 A special price, somewhere to stay, and fine, the thought of looking even more like Harlow, and looking like I’m wearing make up (which a woman really should), how can I say no? So fine, early in the New Year, it will probably happen, should make going to Hollywood even more fun! 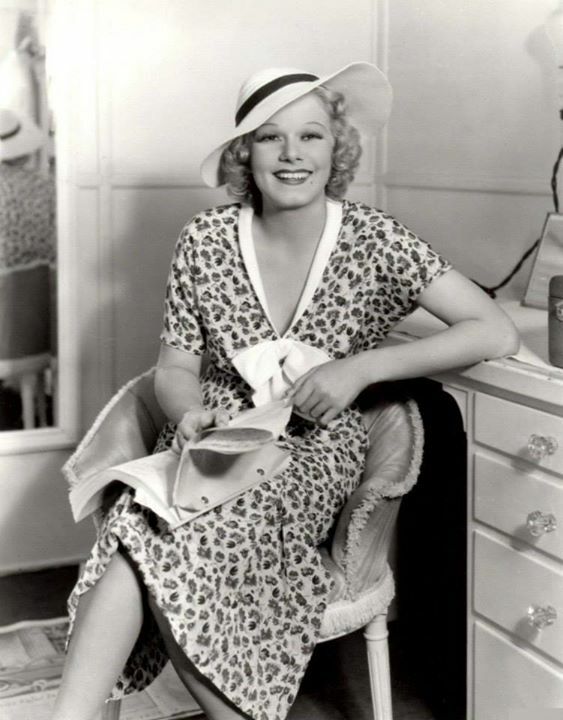 Jean Harlow really will live, maybe? However, before all that, today, I tried something else new, a spray tan session. And hey, what do you know, I like! No, I dont look like an orange, I look a nice shade, but definitely look like I’ve been out in the sun, and added some colour to my fair skin. I like it, others like it, so its a certainty that it will be repeated for Kansas City. Oh, and Hollywood next year, might really be carrying the tanned Harlow look by then! So yes, again, I’m so glad I gave something new a try. The process is interesting, and the spray is definitely on the cool side, but…it looks good, its safer than the sun, or tanning machines, and it looks good, so…it will be done again, but only for special occasions. The video, well, the more you live bit might be true, but me, and love, hmm…?